Forster is New South Wales’ coastal town that’s known for its pristine waters and endless water sport adventure opportunities. You can enjoy relaxing by the tranquil beaches, exploring the many private islands or kayaking by the dramatic coastline. Canoeing and kayaking are some of the major activities most holiday makers engage in on this beautiful coastal town. So if you are looking for adrenaline-filled boating activities or adventurous paddling, then this could just be the right place for you. There are plenty of kayak centers in Forster that provide kayak hire, boat hire, SUP boards hire and skis hire. You can also enjoy guided kayak tours on Wallis Lake’s crystal clear waters, with friends, family or even as a corporate group. With kayak hire Forster, you can go on an adventurous self-guided kayaking tour or fun-filled fishing trip in the lake. The kayak hire centres will supply you with the crafts and all the safety equipment and accessories you need for a successful trip or tour. Taking a free spirit cruise gives you a perfect opportunity to experience the pristine aquamarine waters of Wallis Lake. Apart from being a popular kayaking spot in Forster, the lake’s crystal clear waters are ideal for fishing, swimming and skiing. While on a cruise, you can enjoy spotting the dolphins in their natural habitats and the abundant bird life available in the area. You can choose from plenty of cruise charters including Wallis Lake lunch cruise, group charters and private charter experiences. Idol Bay is one of the best places for diving into the Forster’s deep blue sea. The dive gives you a chance to enjoy a perfect encounter with turtles, sea urchins, red line shrimps and moray eels among other sea creatures. You’ll only need to submerge yourself just ten metres below the sea level to explore the stunning marine life. If you want to learn how to surf or add some new skills, then the Great Lakes Surf School can provide a perfect learning experience. Operating between Forster and Seal Rocks in NSW, the school offers safe and fun-filled surf lessons in a number of Forster’s pristine locations. You’ll learn how to turn, take off and drop down a forming wave among other tricky surfing maneuvers. Before you get started on your water adventure, you need to find the best watersports centers that will provide you with all the equipment needed for water exploration. 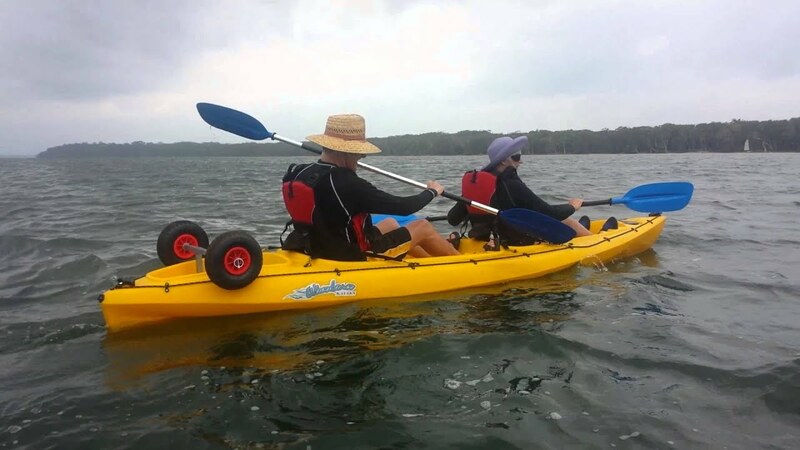 Click here to search for the best Forster kayak hire centers at Kayak Hire Australia. Never miss on the wonderful holiday opportunities in the pristine Forster coastline.